Congratulations… it looks like you’ve made it to the bunker. We’re seeing more and more of you down here these days… folks who just can’t get enough of the weekly podcast that takes you beyond the fringe, and into the twilight realm of Forteana. So you’ve decided to make your descent, heading even deeper into the Hollow Earth in search of more from The Gralien Report. Well good news: if you’re a listener of the weekly Gralien Report Podcast, and you simply aren’t getting enough in a single weekly dose of esoteric goods from the underground, then it sounds like it’s time for you to go beyond the bunker. Signing up is easy, and it’s only $7 a month. Begin by selecting the level of membership that’s right for you: we provide both monthly (Basic) and yearly (Premium) options. Please note that some users may be asked to create or log in to a PayPal account in order to sign up for Gralien X. However, you can still select to pay with a credit or debit card, and PayPal signup is now optional. For more information on this, click here. Note: Be sure that once you have completed your payment through the PayPal payment portal, you wait for the browser to automatically send you back to Gralien X, where you will complete your sign up process. Our Gralien X Basic Membership package will get you all the benefits of Gralien X at a rate of just $7 each month (see “Our Terms” below for more information on monthly billing and recurring payments). Select this option by clicking the “Subscribe” button above, and make your payment with credit card or your PayPal account. Our Gralien X Premium Membership is the package you’ll want if you would rather sign up for a full year in advance, at a discounted rate of just $77 a year (see “Our Terms” below for more information on yearly billing and recurring payments). Select this option by clicking the “Subscribe” button above, and make your payment with credit card or your PayPal account. Got questions? We have answers, and would be happy to work with you on billing and payment issues, or answer any questions you may have about becoming a member. Simply email us and we’ll be happy to assist however we can. If you would prefer not to check out using PayPal, annual subscriptions can be obtained on request via submission of a check or money order. To inquire about using this payment method, email us by clicking here. Please note that our Gralien X Basic Membership is charged at a recurring monthly rate of $7. 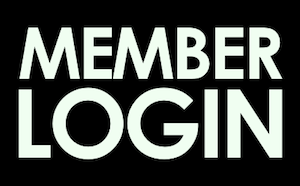 That means you will be charged each month for your membership using the credit card, PayPal account, or other method you enter at the time you sign up. For our Gralien X Premium Membership, you will be charged $77 once per year. Each of these subscriptions will automatically renew unless canceled before the renewal date. We understand that sometimes people may change their minds about subscriptions, and while generally all our subscription sales are final, if you aren’t happy with the subscription you’ve purchased, we hope you’ll allow us the opportunity to address any concerns you have. To do this, contact us directly at info@gralienreport.com, and in the event that you would still prefer to cancel your subscription, this can be done by cancelling your billing profile for this subscription in your PayPal account (you can learn how to do this here). You can also notify us prior to the next renewal date in your billing cycle, and we will be glad to assist you with the cancellation process if preferred. Please note that if you cancel your membership at PayPal, access is shutoff automatically and immediately from all membership content. However, partial month (or year) credits are not issued upon cancellations, and if you sign up for either of our subscription options, and choose to cancel before the subscription term has ended, we cannot offer a credit or refund for this. *7 DAY MONEY BACK GUARANTEE: If you are a new member and are unsatisfied with your service for any reason, you may cancel within seven days of your signup. Please notify us by emailing info@gralienreport.com within 48 hours of that cancellation, and if this is completed within the initial seven-day period, a full refund of your initial payment will be issued. This offer does not extend retroactively to existing members. ALREADY A GRALIEN X SUBSCRIBER?